This Thread is a ROAD to ML! Although it's mainly a Magic Leap thread. While you read listen to THIS, for some fun. Current Job Openings at Magic Leap, Inc.
What's the Difference Between HoloLens, Meta & Magic Leap? First came to China in the Magic Leap said what? Magic Leap Has an ANDROID Base OS!? 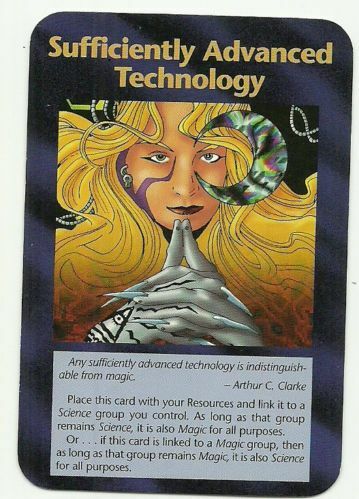 Search "Illuminati Card Game Sufficiently Advanced Technology"
Also @PSXHAX Can you please create a "Random Technology" Node for the node tree on the C-PANEL? for this article? Or something like that? You mean like a designated forum / news category for 'Random Technology' to separate threads like this from our Off Topic > Random Stuff one? Update: Done, it's now moved to the new Random Technology section! Yes! I think it's best suited. I also found something cool that i think all the conspirators will like on the forum..
As "Any Sufficiently advanced technology is indistinguishable from magic" was stated in one of the videos on my playlist. want me to put it up here? THERE ARE A LOT OF VIDEOS! @mcmrc1 i have updated this article what do you think? This is amazing, I want it. you should go to the SubReddit @ https://www.reddit.com/r/magicleap/ It's supposed to be in mass production this summer! and they should possibly have a pilot launch of Prototype Gear / Wearable Device or Headset / Sunglasses sometime the next season if not mid 2017 will be a perfect launch date! I think this is currently the record for the longest article we have here, gooo @B7U3 C50SS!! I keep updating it too! It's now Apr 20, 2019 at 10:30 PM.